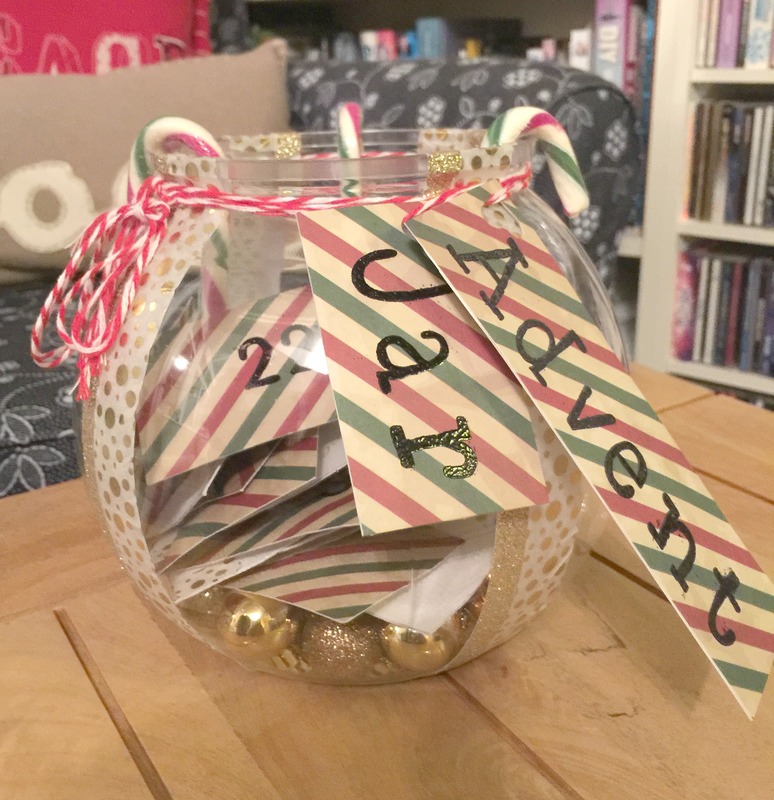 Since Caterpillar and I enjoy crafty things and baking I’ve decided to bite the bullet this year and do an advent activity jar. 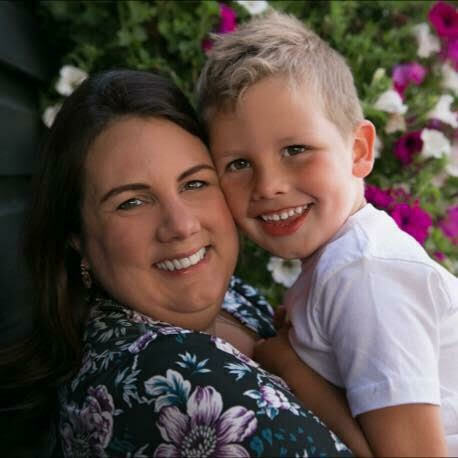 I admit, I may live to regret this even by day five – as 24 daily activities to be fit in around work, nursery, preschool, blogging & general Christmas preparations does feel a little challenging! But I love the concept and I think it’s a great way to get your children really engaged with all aspects of the season (outside of just chocolates and presents! ), plus it will ensure that we give enough of our time over to Caterpillar during what can be a busy and occasionally stressful time. So we’re giving it a go! I originally chose an actual jar for the project but found the narrow neck made it a little awkward to get to the activity cards so I’ve switched to this fishbowl style container, which is actually made of plastic so a little more practical for a three and a half year old too. I got mine from the pound shop and I’m thinking of going back for some more to make some Christmas centrepieces with. I decorated the jar using sparkly washi tape and putting some small baubles (also from the pound shop) in the bottom. I’ve added some candy canes and tied the sign around the rim using some white & red festive string. I made the activity cards and sign using Christmas patterned card stock and stamping & embossed the letters and numbers using stuff from my card crafting stash (but obviously you can just use any card and marker pen or number stickers like these). I would have loved to not bother numbering the cards at all and have Caterpillar pick out activities at random but we have lots of days where we already have commitments so I needed to make sure we would have time for the task on that particular day. So I went through the diary for December and selected activities accordingly. I’ve included our list below if you’re looking for a few ideas. I’ve tried to keep our activities pretty simple, low key and not too time consuming but, of course, the sky is the limit on what sort of things you wanted to include. Another thing I love is that the advent jar can double as decoration and can be used year after year, hopefully starting a new family tradition. 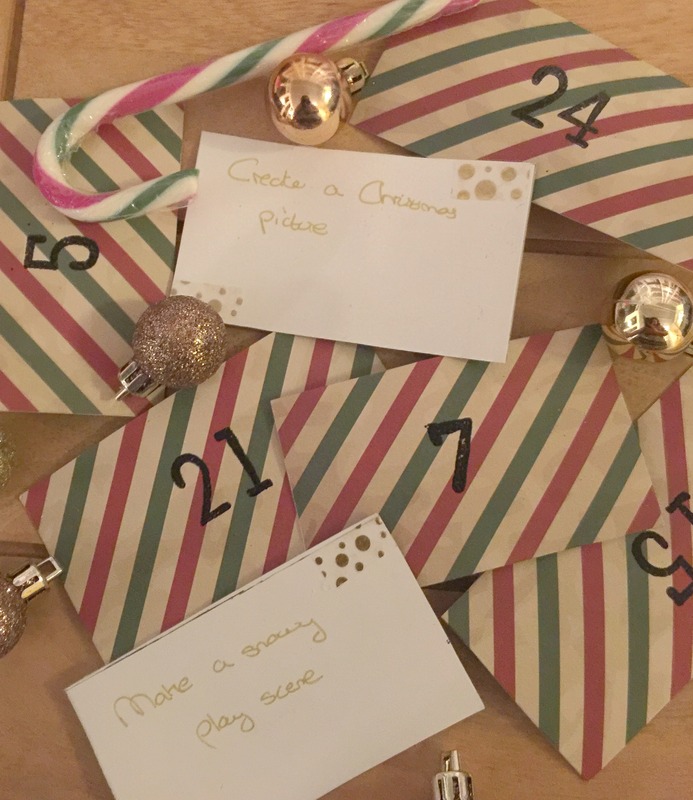 What are you doing with your kids for advent? I’d love to hear your ideas in the comments. Hi Laura. This something we do as well! We moms are great thinkers when it comes to our kids! Yes, it is hard to keep up the pace, but as long as you have simple things like you have, it can work work. Just don’t beat yourself up if you don’t get all of them completed. Life happens and you are making each day intentional, that is what matters. One thing I did, was to make sure if I had an activity on the calendar, then that is what is the activity for the day. No need add another! I do think I’m going to use some of your activities in my month. I love them. Great job! I’m so glad I found you through #christmaslittlemakes! I’ll have to come back for sure, I bet you have lots of things I’m going to love. This is a fantastic idea! Oh my goodness I ham going to have to make notes and remember for next year unless I can rustle it up over the weekend. I love your actual list of activities too. I think me and my kids would love every on of those. Also very clever thinking about which days you have more time etc. I love this! One of my biggest hesitations about doing this kind of Calendar activity in the past has been the thought that my kiddos would randomly pull out the card that says “Bake cookies” on a day when I don’t have the time or all the ingredients in the house. I had never really considered looking at my calendar and numbering each activiity for a day that would work for us. Thank you for solving my problem! Can’t wait to get started now!